Monday – 21st May 1853: The Aquatic Vivarium, the world’s first public aquarium, is opened in Regent’s Park. Tuesday – 22nd May 1897: The Blackwall Tunnel is officially opened by the Prince of Wales, becoming the longest underwater tunnel in the world (at the time). The original tunnel now forms the western (northbound) carriageway – the adjacent tunnel that houses the eastern (southbound) carriageway was opened in 1967. 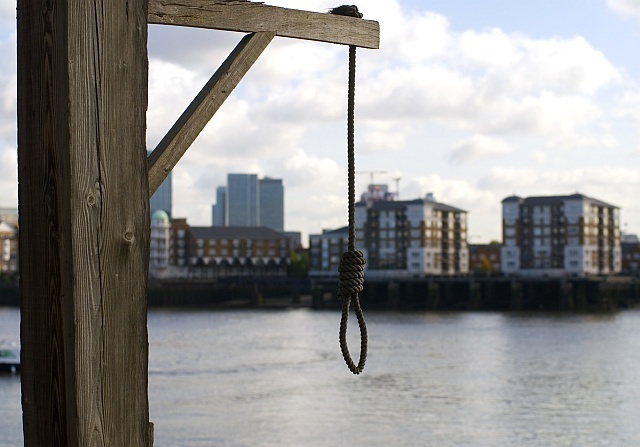 Wednesday – 23rd May 1701: Captain Kidd is hanged in Wapping, following his conviction for piracy and murder. Thursday – 24th May 1862: The current Westminster Bridge is opened, replacing an earlier stone bridge that was subsiding badly. Friday – 25th May 1878: The first ever performance of Gilbert and Sullivan’s H.M.S. Pinafore takes place at the Opera Comique on The Strand. If I could have found a buyer I would have sold London itself. Picture by Still the Oldie via the Londonist Flickr Pool.